Shine bright. 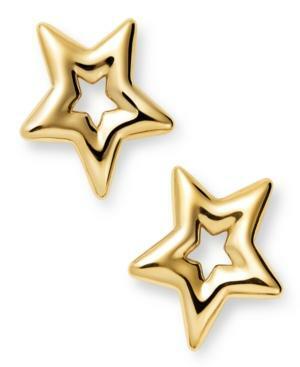 These adorable, cut-out stud earrings feature a chic, star shape crafted from 14k gold. Approximate diameter: 1/2 inch.